Born from a former farmhouse of the XIX century, Galeria Mário Sequeira opened its doors in 1994, reaching a new market that was inexistent, until that time, in Braga and surrounding areA galeria Mário Sequeira, situada nos arredores de Braga, compila peças de referência da autoria de artistas de e do Mundo.as. In a brief period of time the Galeria Mário Sequeira received several international artists at its space: Richard Long, Gerhard Ricter, Sigmar Polke, Andy Warhol among others. 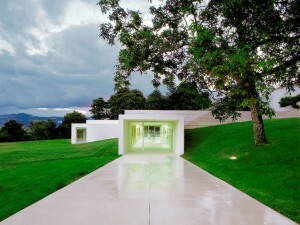 In 2000, the Gallery opened a new exhibition space, projected by the Architect Carvalho Araújo, surrounded by a huge garden. The special relation with Richard Long added priceless value to the exterior area, a partnership that included sculptures by the artist, Franz West, Angela Bulloch, Gavin Turk among others. Shair project wanted to give voice to one of most admirable contemporary gallerists. Mário Sequeira, director of the Galeria Mário Sequeira, insists on leaving a mark on his visitors with “fundamental pieces of fundamental artists of Portuguese and international art”. The quality of the exhibitions is crucial for Mário Sequeira, which is his most relevant characteristic as a gallery professional. His purpose is simple: alternate between the artworks and create some dynamic without losing the concept of the exhibition.